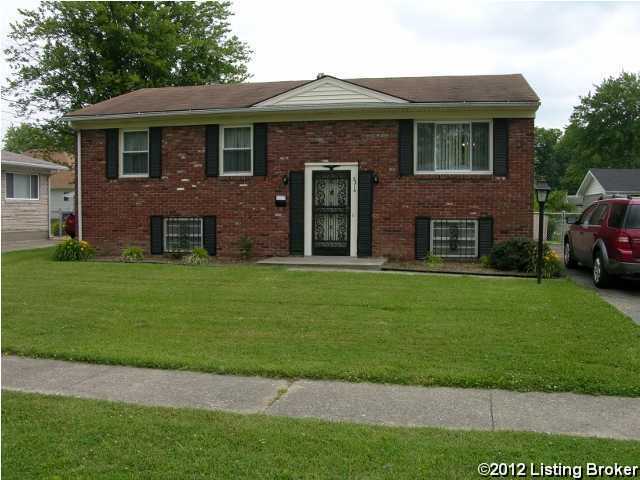 This all brick home is well maintained. Replacement windows on the upper level. The open floor plan makes it great for family gatherings or just relaxing in the spacious rooms. With full baths on both levels, the famiy has plenty of space. Whoever gets this home will get a gem. One year home warranty. Direction: Preston-East on Indian Trail To Pinetree. Right on Pinetree to Twin Oak and take a right to home. Indian Forest is a subdivision within the city of Louisville, Kentucky. There are currently 1 Homes for Sale within Indian Forest, with asking prices ranging from $1,950,000 to $1,950,000. The average list price per square foot of the available inventory in Indian Forest is $75, which is below the Louisville average of $156. The Average Sales price of all sold real estate in this subdivision for the past year is $109,350. Recent comparable homes have been selling for 98.08% of their asking price. Waterfront homes represent 0.00% of the available Indian Forest inventory. The population of Louisville, according to the 2010 Census, is 597,337. The total number of households in the zip code of Indian Forest is 15,331, with an average household size for of 2.45 people. The total number of renter households within the zip code of 40219 is 6,462, which means that 57.85% of households in this zipcode are owner occupant households. 3314 Twin Oak Ln, Louisville KY 40219 is a Home, with 3 bedrooms which is recently sold, it has 1,922 sqft, < 1/4 ACRE sized lot, and Driveway,No Garage parking. A comparable Other, has bedrooms and 0 baths, it was built in and is located at and for sale by its owner at $ 0. This home is located in the city of , in zip code , this County Other, it is in the Subdivision, and Cheri Village are nearby neighborhoods.